The Detention Division is the official name for the Douglas County Sheriff’s Office jail, located in the Robert A. Christensen Justice Center at 4000 Justice Center, Castle Rock, Colorado 80109. 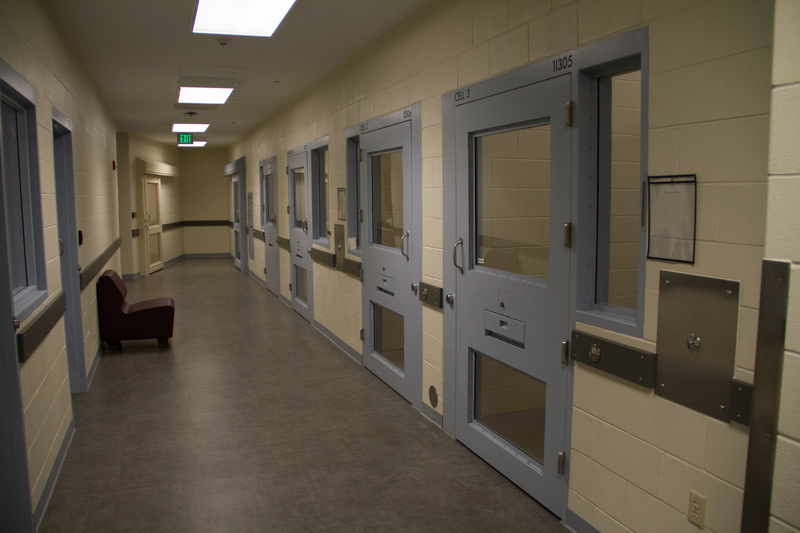 The state-of-the-art detention facility capable of holding 518 inmates in nine housing pods, opened in 1998. On January 31, 2011 the Detentions Division obtained the American Correctional Association (ACA) Accreditation. The Detentions Division also holds the National Commission on Correctional Health Care (NCCHC) Accreditation, which was received in March of 2010. This Certificate of Accreditation states that the jail has met all the requirements of accreditation under NCCHC’s Standards for Health Services. Several employees are Certified Jail Managers (CJM) and Certified Jail Officers (CJO). All of the pods are in compliance with the Americans with Disabilities Act. In 2014, a new medical unit opened in the jail with four hospital beds, two suicide-holding cells, two negative airflow isolation cells, a nursing station, three exam rooms and administrative offices. A new booking area, interview rooms and working area was also constructed in 2014 to increase the efficiency, safety and security of the booking process. Protect the public and institutional safety through the incarceration of adult offenders in the Douglas County Jail, while meeting statutory and constitutional standards of care and provide program opportunities intended to reduce re-incarceration.